Wheatsheaf Court Care Home in Sheaf Street was visited by the Care Quality Commission (CQC) in an unannounced inspection in November 2018. 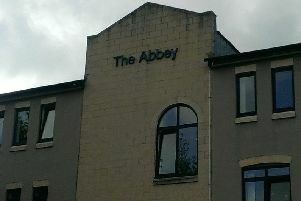 A previous examination resulted in the service being rated as 'requires improvement' and the latest inspection has concluded the care home is now 'inadequate'. Among the watchdog's findings were allegations of abuse by staff towards residents. "We have received some feedback that staff do not always communicate with people in a kind or respectful manner," states the report. "This raises concerns that people have been subject to abuse and safeguarding referrals have been made as a result." It continued: "During our inspection, people disclosed allegations of abuse to members of the inspection team and safeguarding referrals were made as a result. "People were not consistently protected from the risk of abuse as the registered manager was not aware of all incidents that occurred at the service where people were at risk of harm." Because improvements haven't been made since the 2017 inspection, the CQC has put the service in special measures. Wheatsheaf Court will be re-inspected in six months by which time the CQC expects significant improvements to be made. If the care home is still inadequate by then, it will begin the process of preventing provider Interhaze Ltd from operating Wheatsheaf Court. - Areas of the home were not well maintained or clean and improvements were not always made in a sufficiently timely manner. - People did not always receive their care from staff who knew them well as there was a high reliance on agency staff. This also affected the amount of social interaction and activity available to people. - Improvements were required to ensure people received their medicines as prescribed. - There is a lack of care delivered to meet people's individual needs and maintain their dignity. People's dignity is not being maintained at the service. People's personal care is not being provided in the way they wish and some people are in an unkempt state. - We have received some feedback that staff do not always communicate with people in a kind or respectful manner. - This raises concerns that people have been subject to abuse and safeguarding referrals have been made as a result. - People's personal preferences in relation to their care is not always considered and people lack stimulation and choices about how they spend their time. - People are not provided with an appetising choice of food. - We have been told that the food served at mealtimes is often cold and of poor quality. - People do not feel listened to by the provider, as they have raised concerns about the service they receive but no action has been taken. Michelle Caisley, the registered home manager, said: "We acknowledge that the home is in special measures and would like to state that we are continuing to work with external agencies with regards to the rating. "Further agencies such as Northamptonshire County Council and Nene Corby CCG - both agencies having been working with the home over the last year to push through improvements neither of which have raised any concerns over this period or after the report was published. "We had a recent quality audit in January 2019 with the outcome rating of 93 per cent. "We are in a 400-year-old building that is not purpose-built and continuing to complete refurbishment to make the home more welcoming. "Whilst I cannot discuss individual resident with regards to safeguards, safeguardings that have been raised by the home and by the CQC have been fully investigated and closed by safeguarding team with no further action taken. "Whilst we respect the work that the CQC does, the report was the opinion of the inspector on the day and is not a true reflection of the homes current state with work going into the home over the last year. "We continue to ensure our resident are safe and free from the risk of harm." The CQC report, published earlier this month, can be read on the watchdog's website.